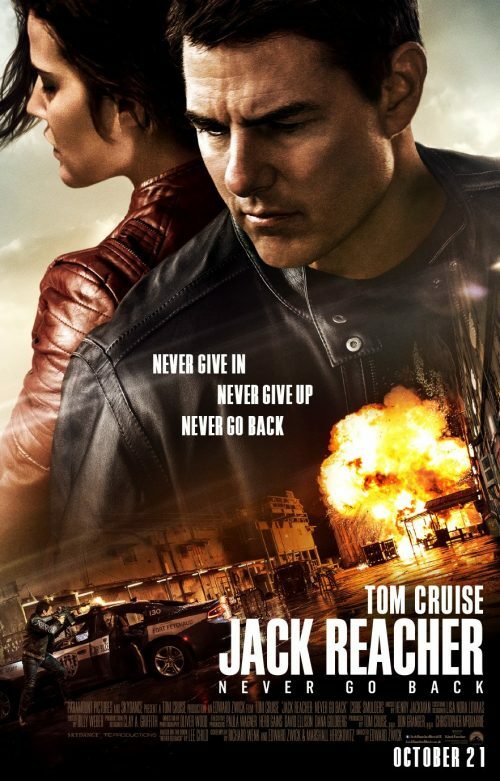 The first international poster for the upcoming second outing of Jack Reacher has arrived. What does it tell us about the film? Nothing more than what the trailers can tell you. It stars Tom Cruise some woman. There is a shoot out that involves a police car and, at least, one explosion. There, still, isn’t an official synopsis available at the moment. Paramount UK haven’t been sent one so all I can give you is what it says on the youtube page. As soon as it appears I’ll add it to the site. The legendary Jack Reacher returns in the first trailer for Jack Reacher: Never Go Back.